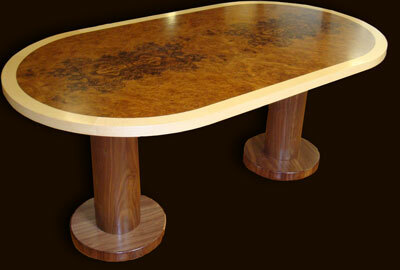 Incredibly beautiful art deco inspired dining table shown here in burr walnut with fiddle maple cross-banded edges. Extremely solid construction using turned American black walnut twin pedestals. 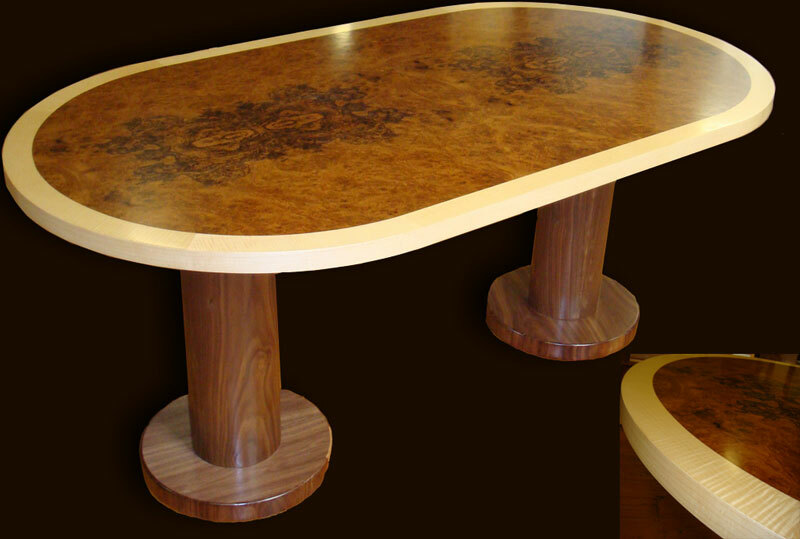 We are also able to offer this style of table in any size that suits you - circular, oval or rectangular in any size! If you would like to change any aspect of this item or have other design ideas, please call or use our bespoke request form.